Solidarity International is an international philanthropic organization based in Nepal with large network of members and volunteers worldwide. It supports and develops international humanitarian programs that serve people in need. With the dedication and work of members and volunteers, SI is able to improve thousands of lives through our high-impact initiatives. After Earthquake of Nepal 2015, The focus of SI has centered on helping the affected communities of Nepal. SI is the global coalition against poverty and inequality with its headquarters in Kathmandu & national council in few countries of Africa, Asia, Europe, Latin America, Middle East, North America and Oceania. 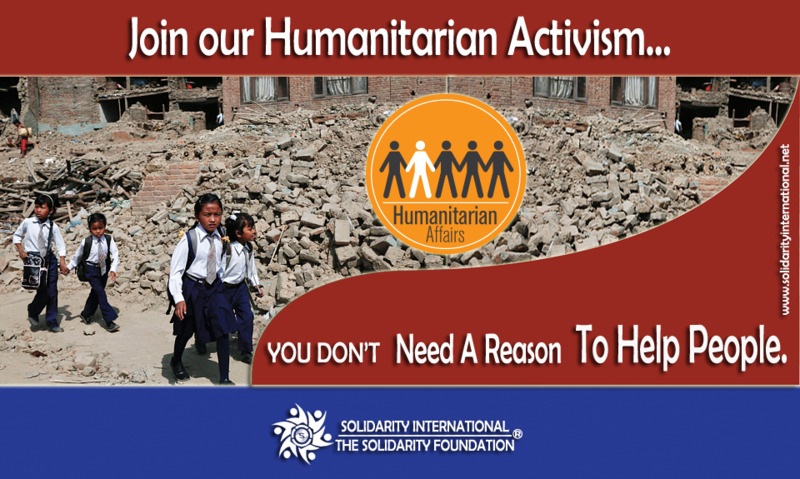 The vision of Solidarity International is to build Nepal free of poverty and inequality. 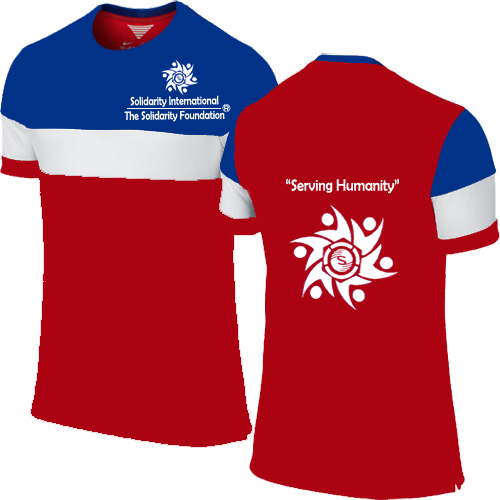 The mission of Solidarity International is to form EQUALITY, UNITY, PEACE and PROSPERITY in Nepal. To renovate and rebuild community schools destroyed by Nepal Earthquake to facilitate children with modern, safe and clean classrooms. To rebuild earthquake-proof houses, community & health centers, drinking water supply systems and toilet blocks in earthquake affected areas. To bring foreigners to volunteer for teaching in the schools and various health posts. To conduct teacher training programs to help village teachers to improve their skills. To provide scholarship to children in need and develop infrastructure of the school by supporting school furniture and developing e-library for students. To organize home-stay trips to help villagers with income generation and to alleviate poverty. To work for the helpless, orphan and disabled children for their education, health, awareness, shelter, care taking and raise voice for their legal rights. To launch long term program for family health care, poor mother and children welfare. To establish well facilitated rehabilitation center for underprivileged children, women, disable and elderly people. To honor individuals and organizations that contribute significantly and meaningfully in the fields of education, health, social, economics, and environment in society.